Total are of this house consists of 2795 Square Feet (260 Square Meter) (310 Square Yards). 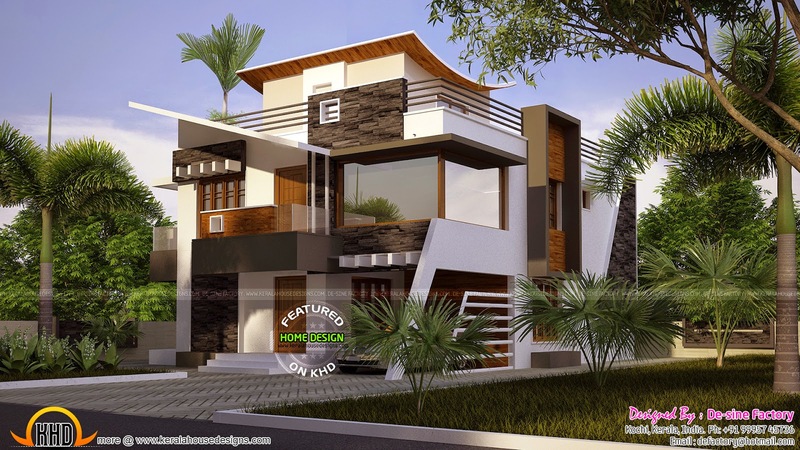 This is a 3 bedroom ultra modern style three storied house. Free house submitted by De-sine Factory, Kochi. First floor : 1162 Sq.Ft. Second floor : 333 Sq.Ft. Total area : 2795 Sq.Ft. 1 comments on "Floor plan of ultra modern house"
Does this plan have the 3d view of exterior and interior?